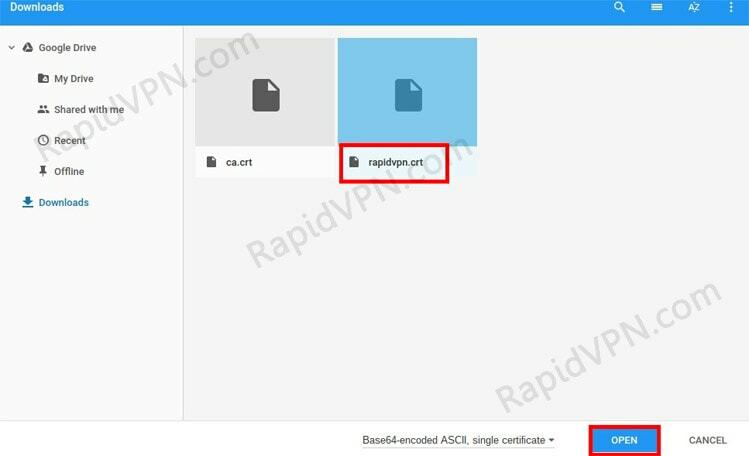 1Download OpenVPN Certificate file (rapidvpn.crt) for the server location of your choice from client area. 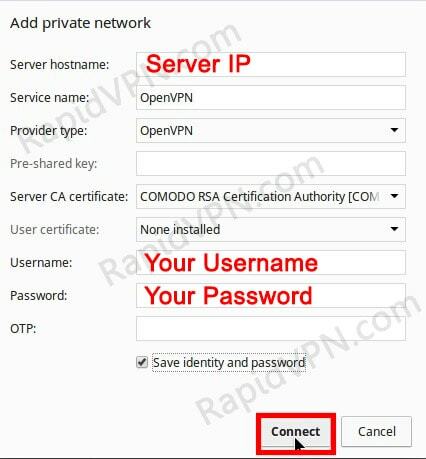 Go to Configuration tab and download OpenVPN Certificate file. 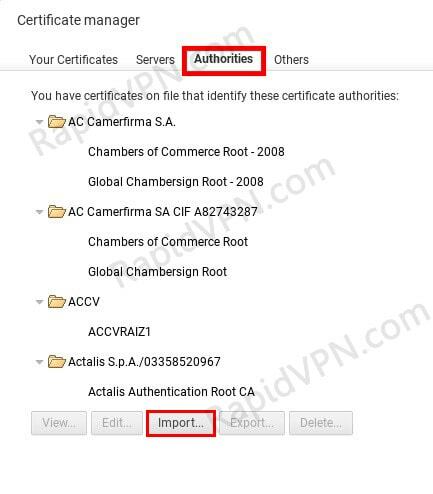 2Launch this address in Chrome: "chrome://settings/certificates" and then click on "Authorities" tab. From there click the "Import". 4Click on "OK" and reboot your Chromebook device. 5Click on the toolbar with the cluster of icons in the bottom-right corner of your screen. 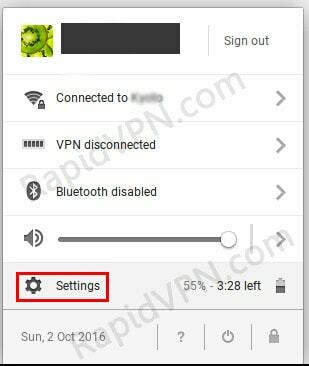 Then click on "Settings". 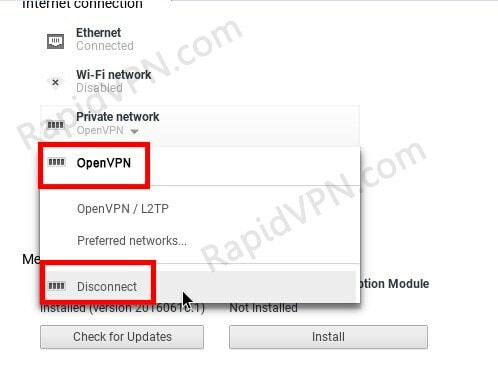 6From the settings panel, select "Add connection > OpenVPN > Add private network". 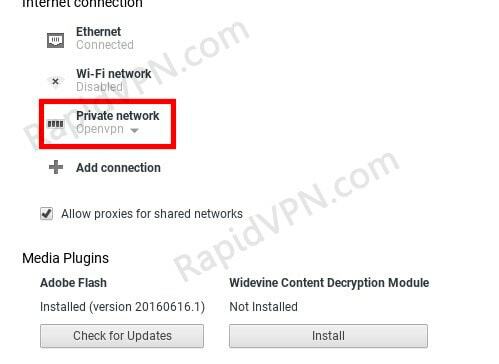 7In the "Add private network" panel, enter the following information which you obtained earlier. At the end, click "Connect". 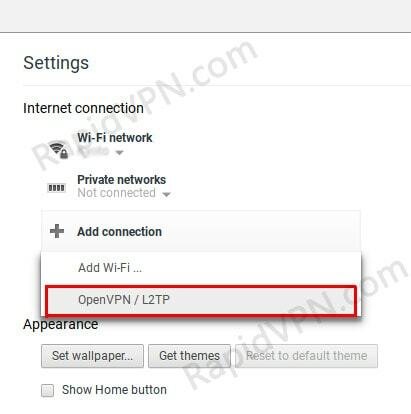 You have successfully connected your Chromebook to RapidVPN using OpenVPN. 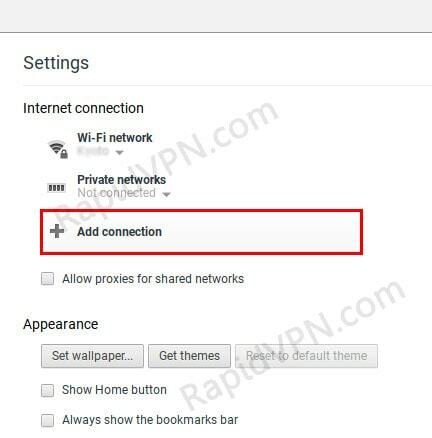 8To disconnect your VPN service, go into the "Settings" panel, click on "Private network >Disconnect".